"I downloaded this for free on Amazon, but it's a book I would certainly have paid for and been really happy to pay for, which I can't say for all the books I've taken a chance on ... Kudos to the author for something new and fresh in a genre that's been saturated ... I'm so happy I discovered C.J. Archer." ★★★★★ reviewer. The story revolves around Emily, a 17-year old medium, who lives with her sister in Victorian England. During a seance, her sister (who runs them) holds an amulet, chants some words she doesn't understand, and releases a shape-shifting demon. The story is about finding out who, why, how etc with a dash of impossible seeming romance thrown in. The interplay between the two male characters was amusing. The whole story is interesting and the descriptions are in-depth. I enjoyed this book but did find some of the 'holes' in the story a bit ridiculous - Emily's sister is the one who runs the whole seance show but she doesn't find it even slightly strange that an unknown peddler turns up instead of the usual one, sells her an amulet with a chant she doesn't understand and then wonders why something has happened when she used it?! This is the first of three. I might read the other two but not yet! Merissa Archaeolibrarian - I Dig Good Books! I thoroughly enjoyed it! I hope I have the resources to purchase the trilogy some day. Will be looking forward to it! 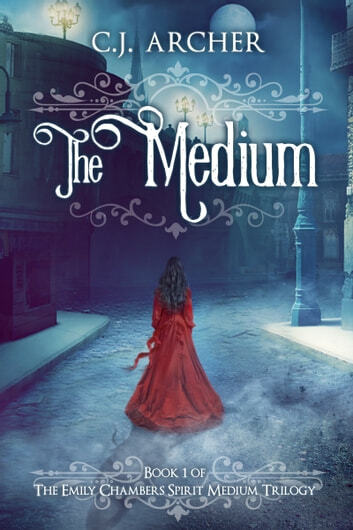 A gripping novel set in 19th century London and the popular past time of seances and spiritualism. It was gripping from the first to last page. Definitely looking forward to reading the rest of the trilogy. Couldn't put it down till I read it from cover to cover. I did not enjoy this book as much as I had hoped. It felt very difficult getting "into"the story. Right now, after just finishing the book I find I don't care if I read the rest of the trilogy.